CPU COOLING FAN FOR SONY VAIO VGN-CS VGN CS VGNCS VGN-EG VGNEG VGN-EG SERIES P/N MCF-C29BM05 .. 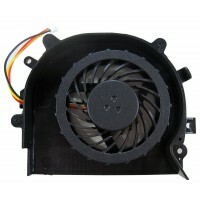 LAPTOP CPU COOLING FAN FOR SONY VAIO VPC-EA VPC-EB SERIES Product Info .. 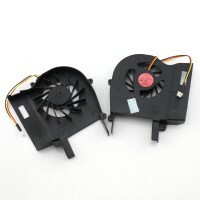 LAPTOP CPU COOLING FAN FOR SONY VGN-BZ SERIES BZ50 BZ561 BZ569 BZ570 Product Info .. LAPTOP INTERNAL CPU COOLING FAN FOR SONY VAIO VGN-FS PCG 791L 791M 792L 792M 793L 793M SERIES ..
NEW CPU COOLING COOLER FAN FOR SONY VAIO VPC EH EH16 EH36 EH25YC EH26 EH38 EH22 EH36 EH100 U.. ORIGINAL PCG-71211M SONY CPU COOLING FAN Product Info Comp..
NEW CPU COOLING FAN FOR SONY VAIO VGN-FZ SERIES Product Info ..
NEW LAPTOP CPU COOLING FAN FOR SONY CA CB SERIES Product Info Co..
NEW LAPTOP CPU COOLING FAN FOR SONY SVT13 SVT14 SVT15 Product Info ..
NEW LAPTOP CPU COOLING FAN FOR SONY VAIO SR SERIES VGN SR13 SR16 SR18 Product Info ..
NEW LAPTOP CPU COOLING FAN FOR SONY VAIO VPC YA VPC YB SERIES Product Info ..
NEW LAPTOP CPU COOLING FAN FOR SONY VGN-FW VGN-FW58F P/N: UDQFRHR01CFO Product Info ..
NEW LAPTOP CPU COOLING FAN FOR SONY VPC Y21 Y115 Y118 YA26 YB15 YB3 SERIES Product Info ..
NEW SONY VGN-CW SERIES LAPTOP CPU COOLING FAN UDQFRZH13CF0 Product Info ..